Provides guard rail protection where needed on open ends of platforms. 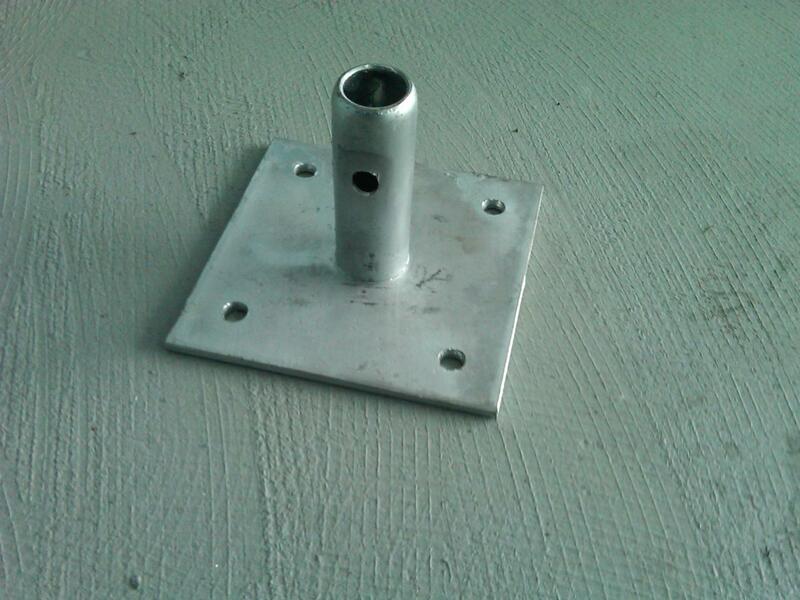 With same size plate as base plate, it provides footing for frame assembly on uneven and angled surfaces. Four nail holes. 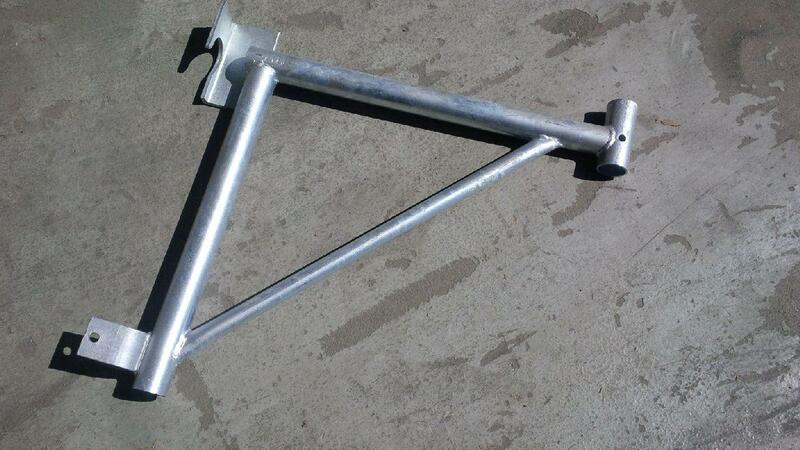 6” x 6” base plate is to provide footing for frame assembly on level surfaces. Has four nail holes on the plate. 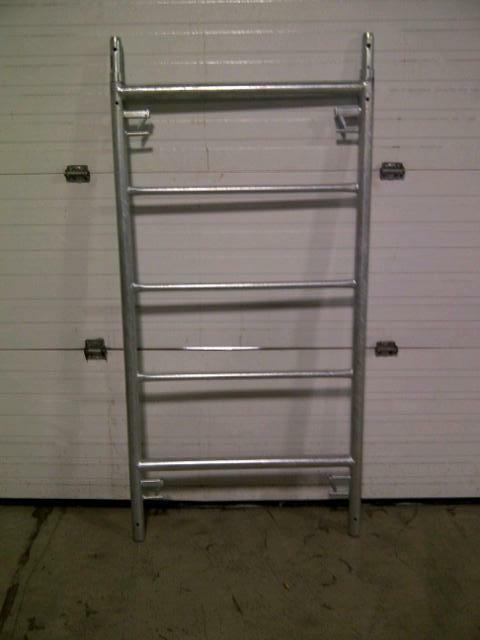 Finish: powder coat or hot dip galvanized. Available Options: Fast Lock, Flap Lock, Flip Lock, Drop Lock, Rivet Lock, C Lock, V Lock. Available Options: Toggle pin pig tail, spring clip, split roll pin, Rivet pin, Snap pin. Coupling pins 9”long X 1-3/8”OD or 1.412”OD With 1” collar. Finish: electro plated. Outriggers increase the base dimension to stabilize mobile scaffold tower. 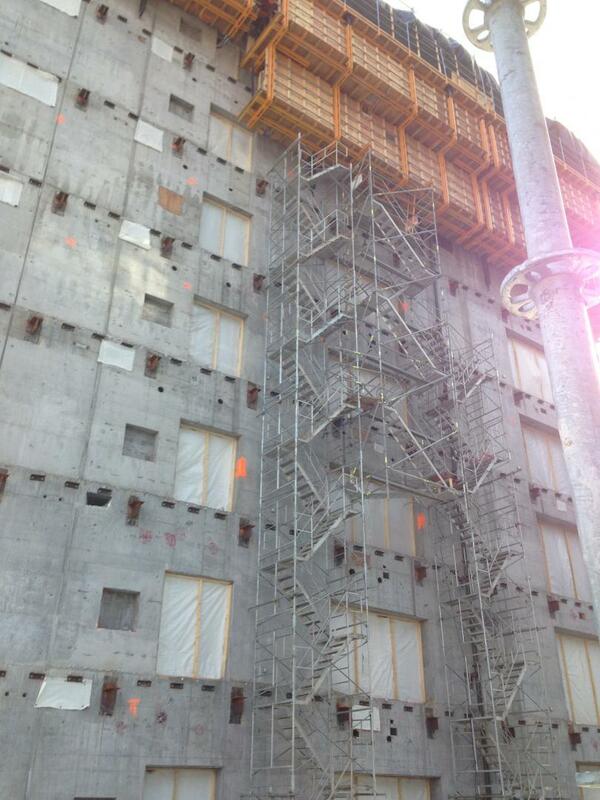 They clamp solidly on to the frames and allow the rolling tower to be built higher. 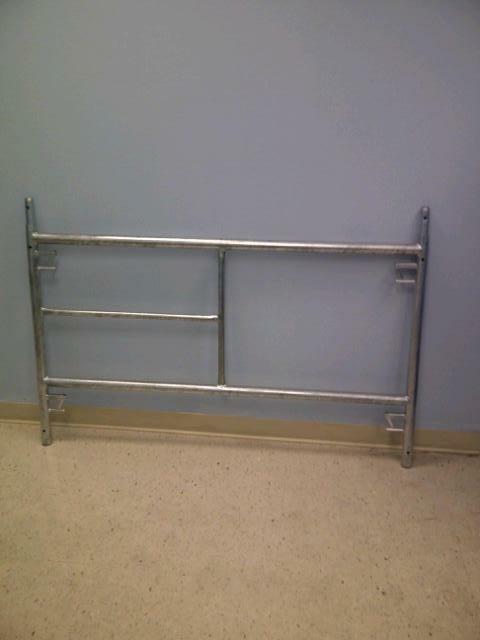 The guardrail posts attach to scaffold frames and provide attachment points for both top rail and mid rails. 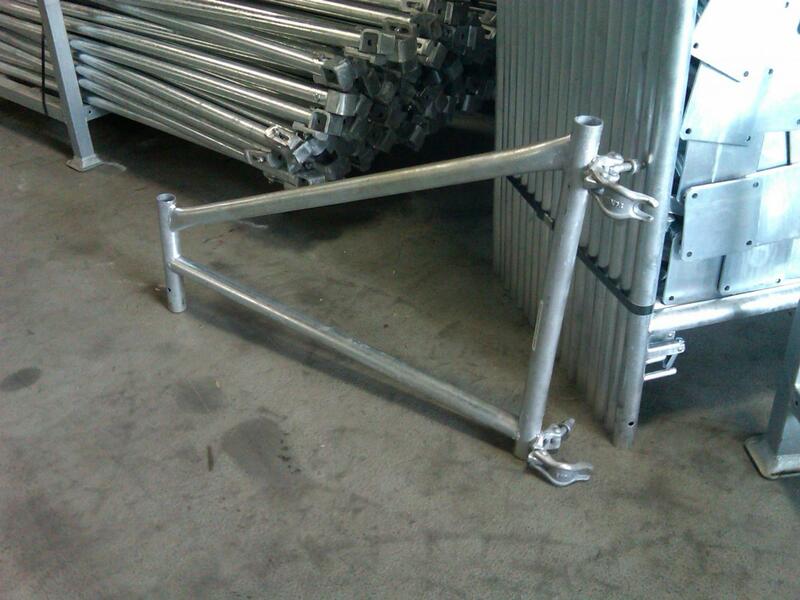 Made of 1” OD x 0.07 ” tube (1-1/4″ OD for 10′ guard rail). 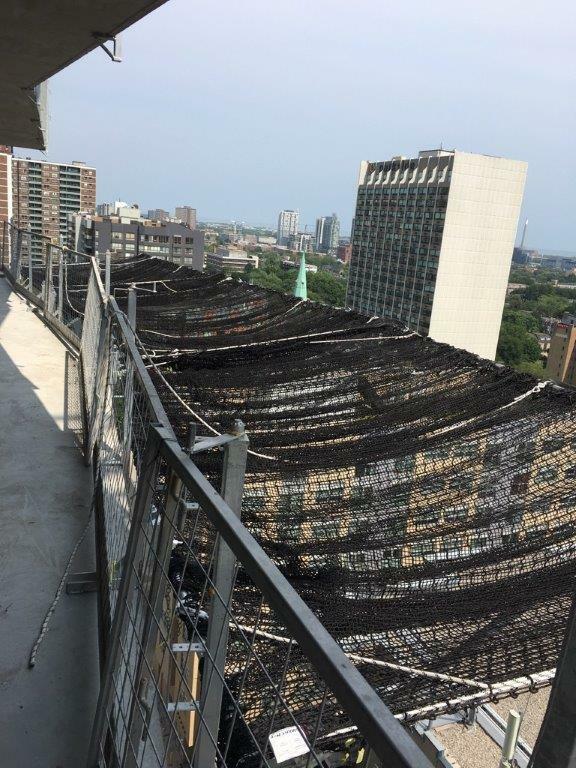 Our internal stairway with handrails provide a safe method of climbing any tower.They can be assembled at the same time as the tower or after the tower has been erected. 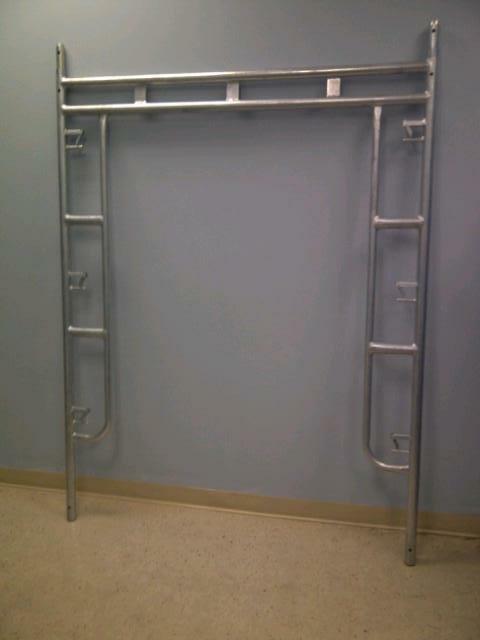 The stairway has 22” wide stair tread and landings at one end for use with 5’ high frames, or with ring system. Finished: All Aluminum. Ductile iron, with drip forged swivel latch hooks. Entire assembly is electro plated for rust protection. Hook is hot drop forged to ensure the capacity. Safety working load is 150lbs. Available size : 10” and 12”. Rope diameter : 1” max. Weight : 13.3 lbs (6.03kg) for 10” and 14.6lbs (6.6kg) for 12”. Powder coat or hot dip galvanized finish. 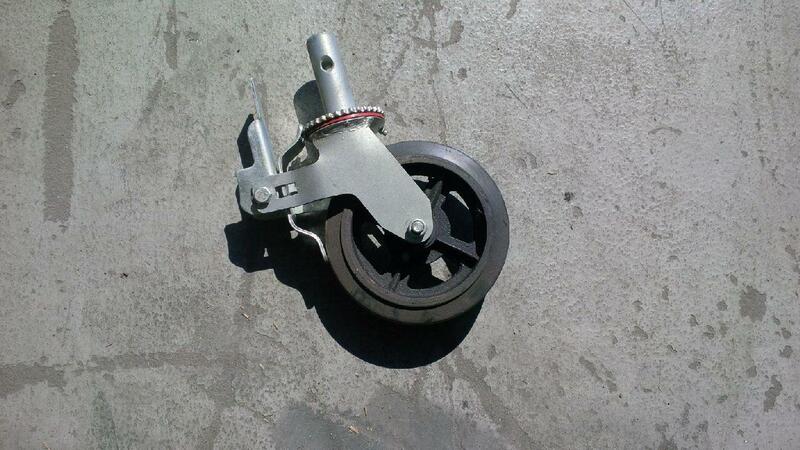 Swivel head rotates 360° and closed steel loop for wheel hook. Cross-bonded birch or poplar veneers coated with 120g/m2 or higher grade reinforced phenolic resin film at both sides, with edges and sides sealed all around in order to meet higher requirements of wood-based panels’ surface characteristics in concrete formwork and construction sites where alum decks are used. All coated plywood we supply is manufactured of high quality veneers and phenolic surface film from world –wide quality manufacturers. Thickness : 12, 15,18,20,21 and others in mm. Number of layer: from 5 to 21, subject to the required thickness. 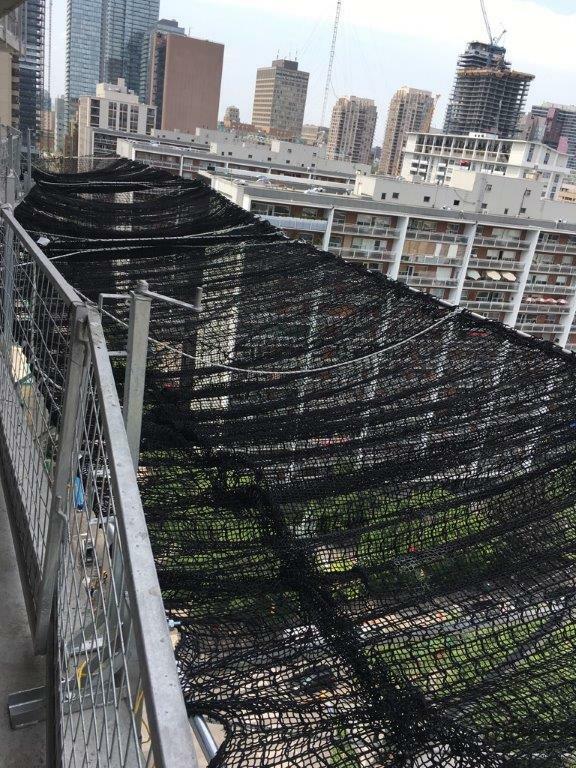 Surface option: Wire mesh pattern to offer skid-resistance. 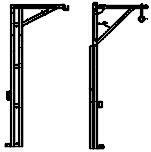 The Scaffold Caster series is specifically designed for use on scaffolding. Utilizing a deep saw tooth swivel lock and brake disc design, the actuator handle easily locks the swivel and wheel simultaneously. Swivel: 2 rows of ball bearings in machined and hardened upper and lower raceways. Legs: heavy gauge formed steel plate. Wheel bearing: Roller, ball bearing. 240120-20" 11LBS 241124-24" 14LBS Power coat finish Ranges from 20" to 30"
Side brackets are used to extend work area outward to make the working platform wider. We have different side brackets for 1,2 or 3 planks respectively. 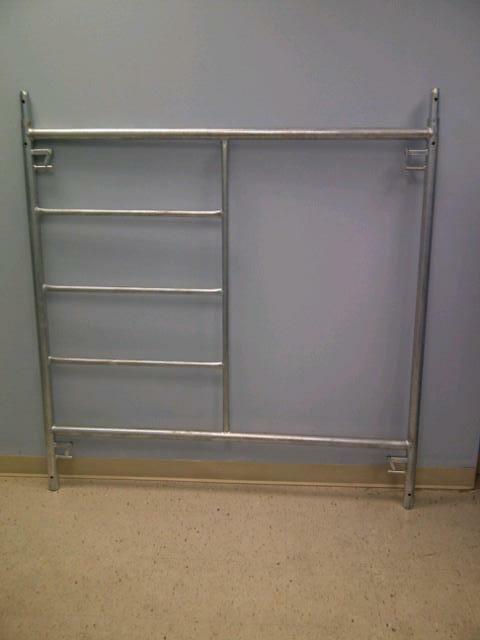 Both powder coat and hot dip galvanized finishes are available. NOTE: Side brackets and End brackets are not intended for storage of materials. scaffold towers that are cross braced. 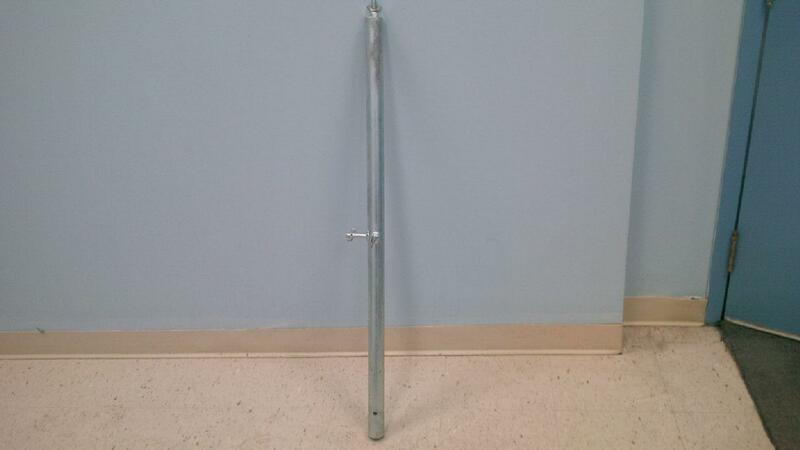 Made of 1” OD x 0.07 ” pre-galvanized tube. Goosers are horizontal diagonal braces with special end connectors to attach to frame legs. Heavy duty, and made of 1.69” OD x 0.095 ” tube. Powder coat or hot dip galvanized finish.